Prayer isn’t a monologue. God has something to say, too. In fact, He’s already said a lot to you! As we’ve been praying through Psalms the past several months, God has nourished and challenged you with His words of truth, admonition, and encouragement. As you read Scripture, whether it’s a daily verse you receive through the YouVersion app, Bible Gateway, or your own read-through-the-Bible plan, personalize it. Be careful. Keep the verse in context. Claim what God intends for you to claim. Trust His Spirit and yield as He guides. If a verse speaks to a group of people, a body of believers, claim the verse not only for yourself but for the body of believers. We can distort God’s promises when we take a verse out of context and claim it says something it doesn’t. If you write in your Bible, write the date as you claim and personalize a verse. If you use an app, use the highlight or note feature. You can even personalize the verse on a sticky note and keep it with you throughout the day. God has something to say. Are you listening and praying over it? 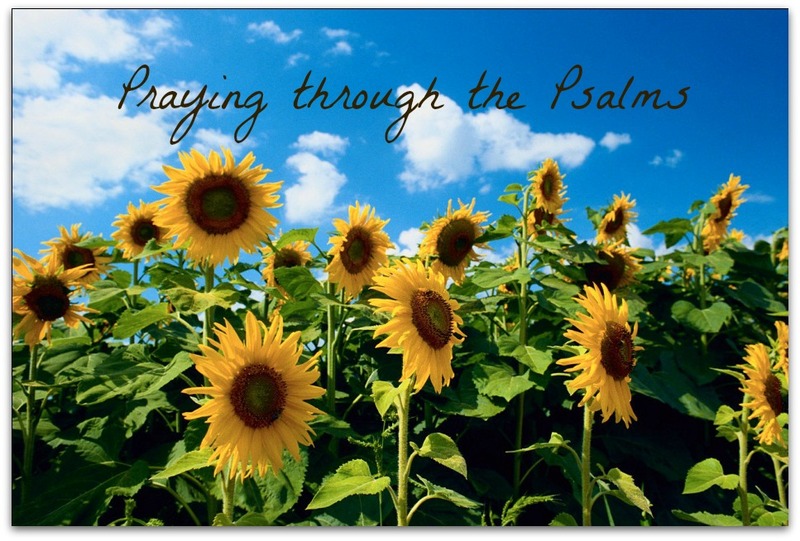 Posted on August 25, 2014 June 9, 2014 by SusanHLawrencePosted in Praying through the PsalmsTagged commitment, discipline, God's Word, lessons, practice, psalms, reflection, study, tips, tools.